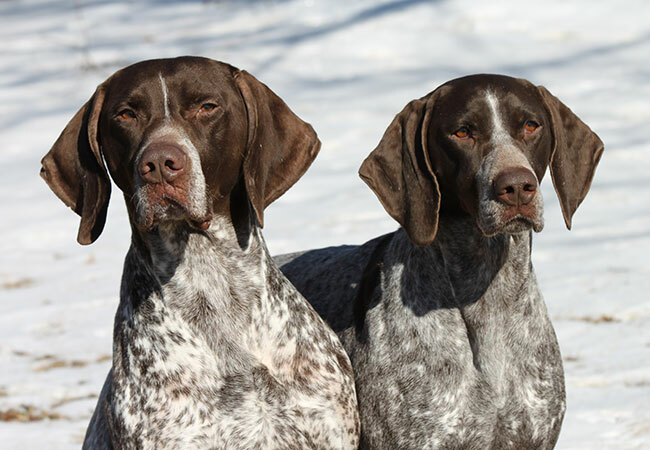 Origin: A medium sized bird-dog, originally bred to point upland birds and small game for the foot hunter. The GSP makes an excellent companion to the active family. Weight: Males weighing from 55-70lbs. Females weighing from 45-60lbs. 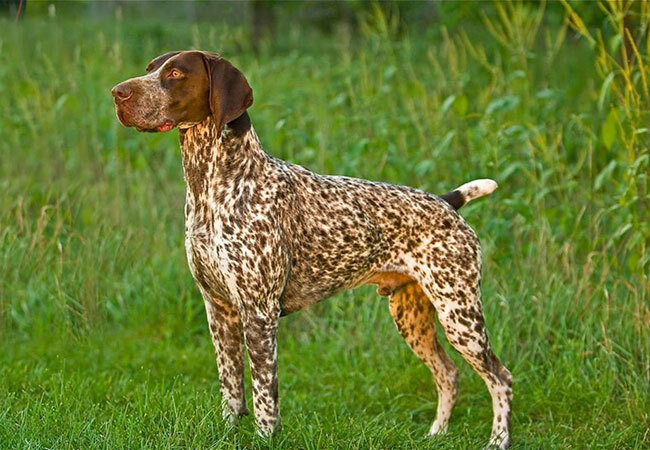 Coat: A GSP’s coat is short and thick and feels tough to the hand. Colour: The coat may be solid liver or a combination of liver and white such as liver and white ticked, liver patched and white ticked, or liver roan. Grooming: Nails require occasional trimming. Routine dental checkups will keep their teeth clean, and the occasional coat brushing. The GSP does not require much grooming. Exercise: The shorthair is a very active breed, which requires either lengthy leash walks, or off-leash play in a safe, supervised area. They make great companions for runners, hikers, and bikers, but also enjoy their down-time as well. 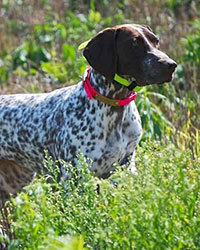 Food: The GSP is a generally food motivated breed, which thrives on a quality diet. Temperament: The Shorthair is friendly, intelligent, and willing to please. Crate Training: Strongly recommended for safety, especially for travel in a vehicle. Basic Obedience: Because of their active nature, desire to please their owners, and intelligence, the GSP makes an excellent sport dog, and excels in all venues of obedience and performance sports.